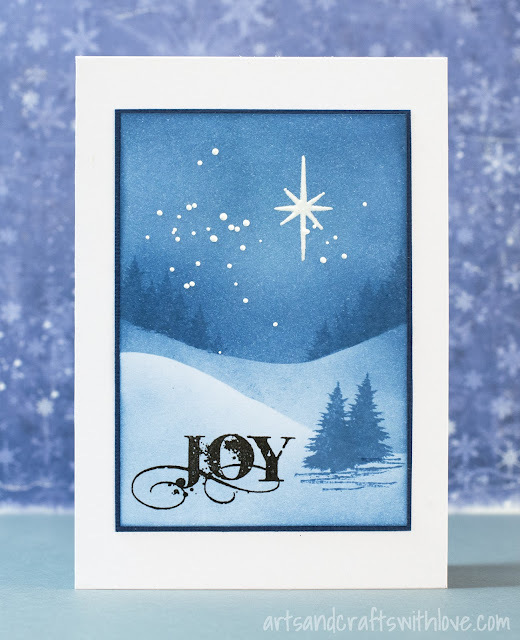 For these simple designs you don't need too many supplies: For colouring and stamping the backgrounds I only used one blue Distress ink colour, 'Faded Jeans'. Starting from the top of the card I inked my white cardstock panel using an ink blending tool and a few simple hand-cut, mountain shaped paper masks. 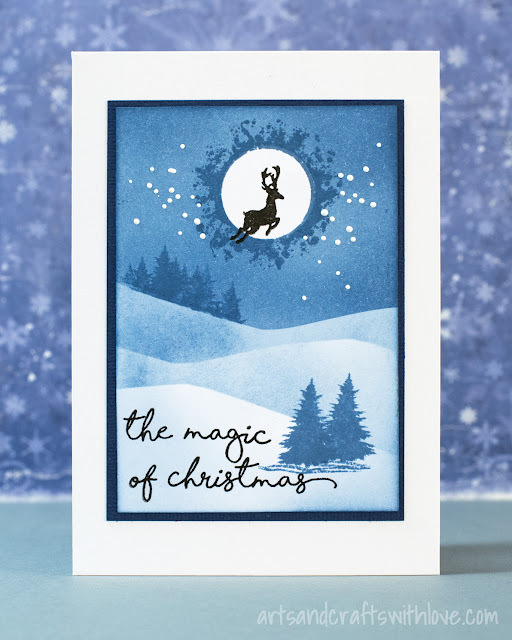 For stamping the words and the flying reindeer I used black VersaFine ink. The white star is stamped and heat-embossed with white embossing powder. 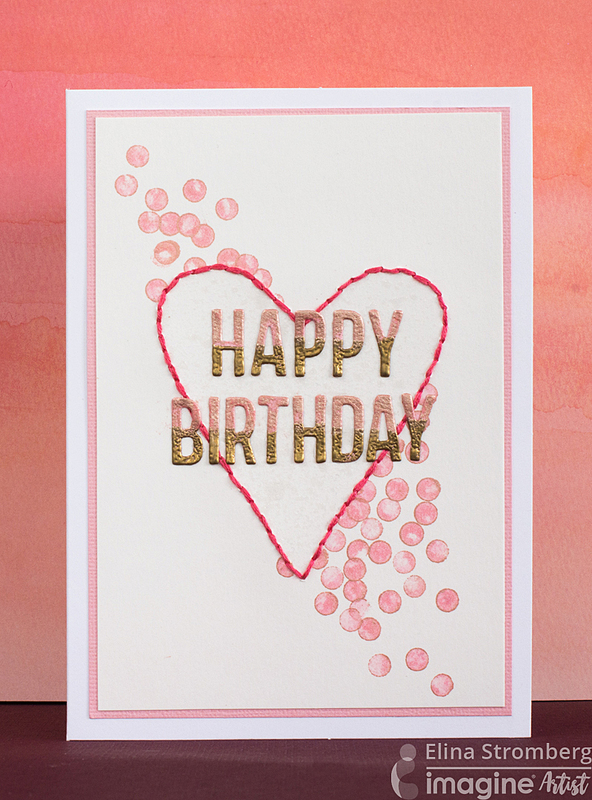 For the little white stars I used white heavy embossing powder: I sprinkled the powder flakes on the card, and heat set them by heating the card from underneath. 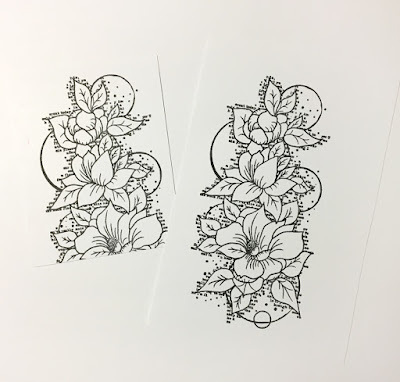 Especially when using water-soluable Distress inks I prefer using white embossing powder for making tiny white splash marks, as a thin white paint will absorb the ink colour, and the end-result will not be bright white. White embossing powder will give you a pure white colour. 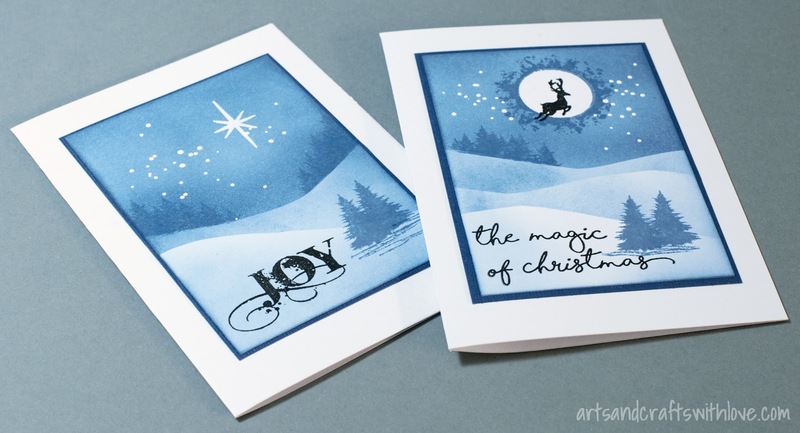 The new Visible Image Christmas stamp sets are so very inspirational. 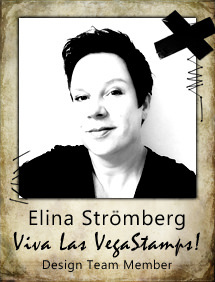 The hand-written text stamps are my true favourites, hope you will get inspired, too! Wishing you a wonderful week. Thanks for stopping by in my blog! 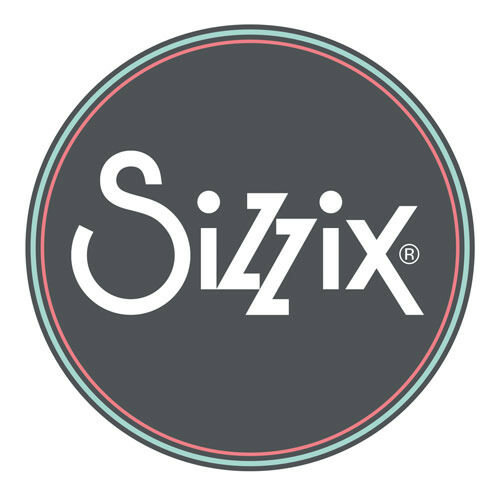 Have you already seen the new stencils by Visible Image? 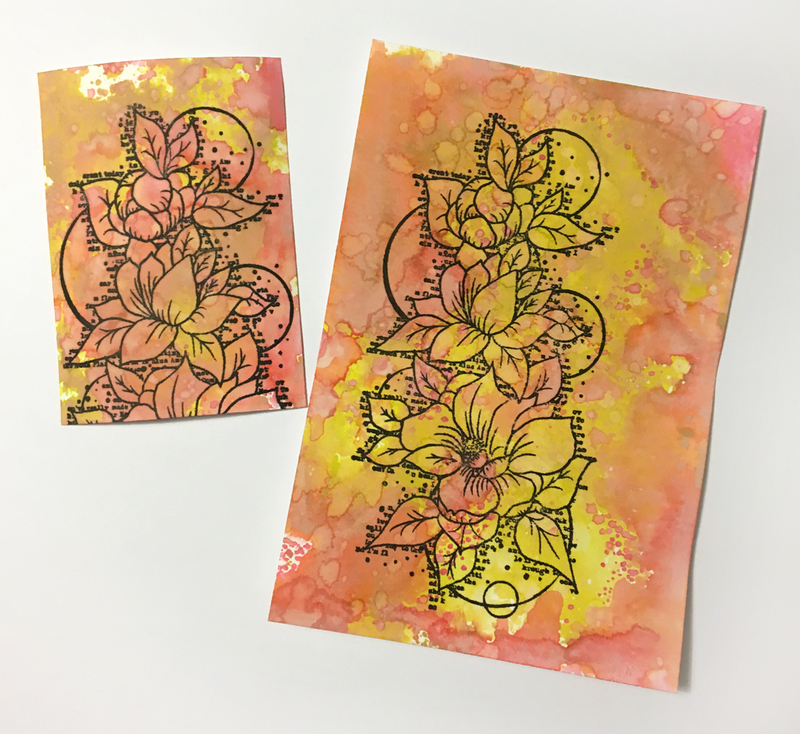 I love working with stencils, and seeing this addition to their stamp collection was so exciting! I started the project with inking the background with yellow and orange Distress inks, and stamping and heat embossing the main image on the tag. I placed the stencil on the tag, and stencilled clear VersaMark embossing ink on the tag, dabbing the ink around the main image. 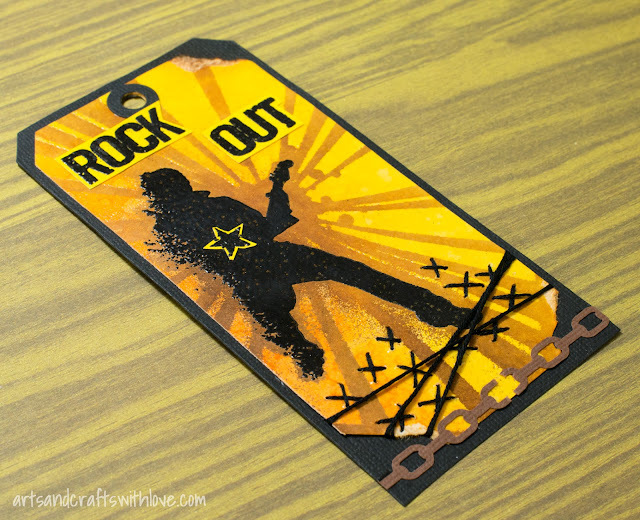 Then I heat embossed the stencil pattern with clear embossing ink. Wishing you a wonderful week. 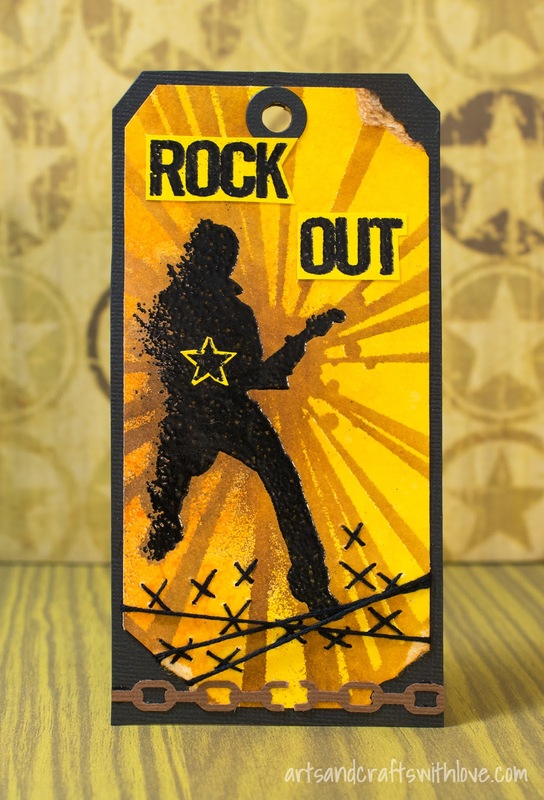 Rock Out! September colour is Rose Gold! Hop over to Imagine blog to see how the talented AIR team members have used this lovely warm colour on their projects. 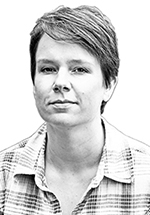 Link to follow is *here*. Wishing you a nice weekend! 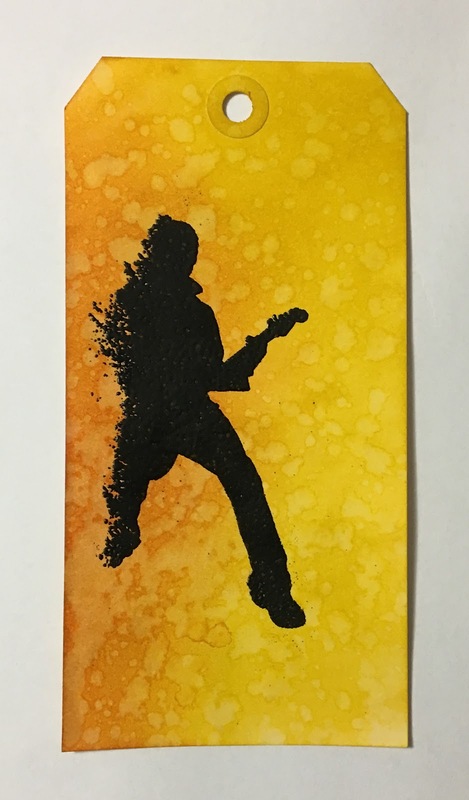 Thanks for stopping by in my blog! Weekend is soon here! Woohoo! 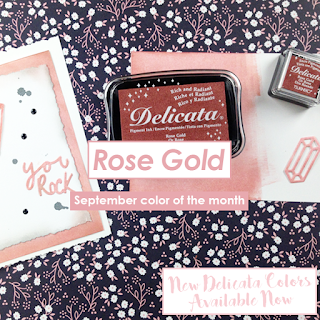 It's also the first Friday of the month which means that a new Craft Stamper Take It Make It challenge starts. This month we have again a fabulous prize for one lucky winner: Three stamp sets by Uniko! 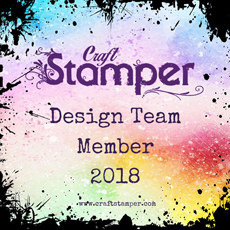 Entering the challenge is easy: Create a project of any type, include stamping somewhere on your project, link a picture of the project to the Craft Stamper September challenge post, and keep your fingers crossed! I dabbed pink Distress Oxide ink ('Worn Lipstick') on my craft mat, misted the colour with water, and picked the ink up using white mixed media cardstock. I dried the colour with my heat gun, and repeated the step with yellow ink (Distress Oxide 'Fossilized Amber'). 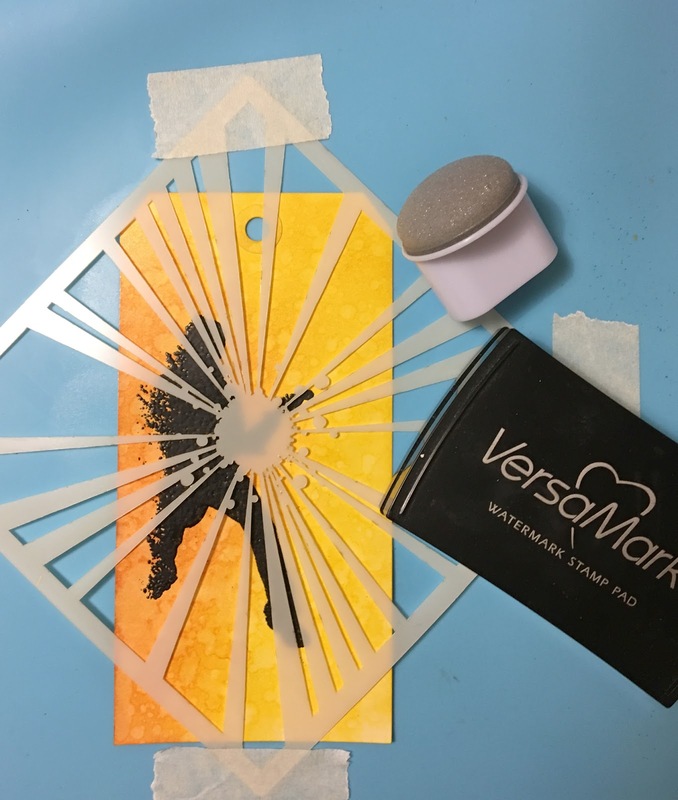 I took out my Tonic Studio Tim Holtz stamping tool, and stamped the flower image on the inked backtround using black VersaFine pigment ink. 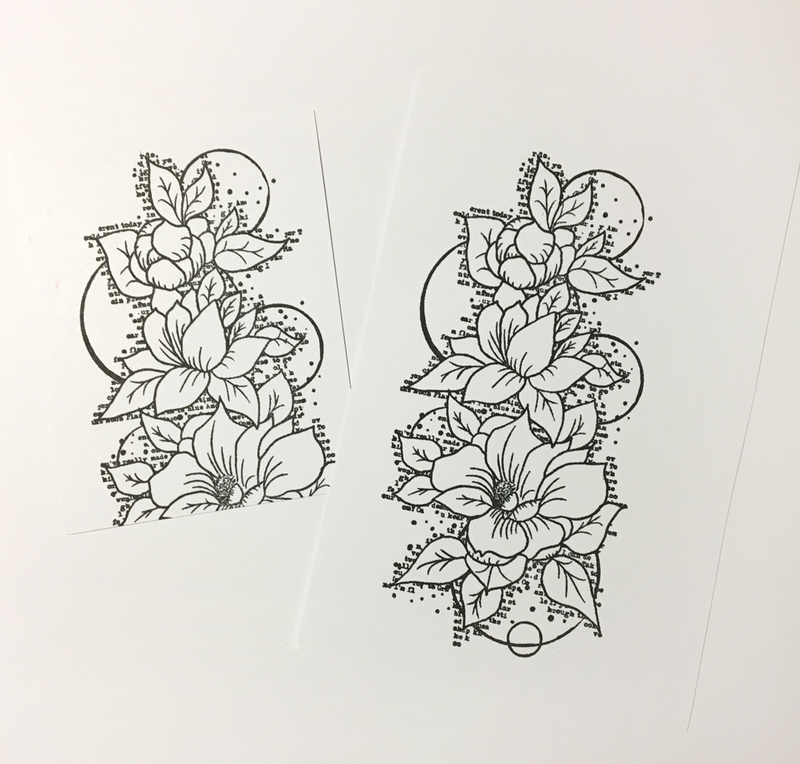 Then I stamped the flower image again on white semi-glossy paper. This time my ink was Memento Tuxed Black ink, as that ink works well with alcohol markers. 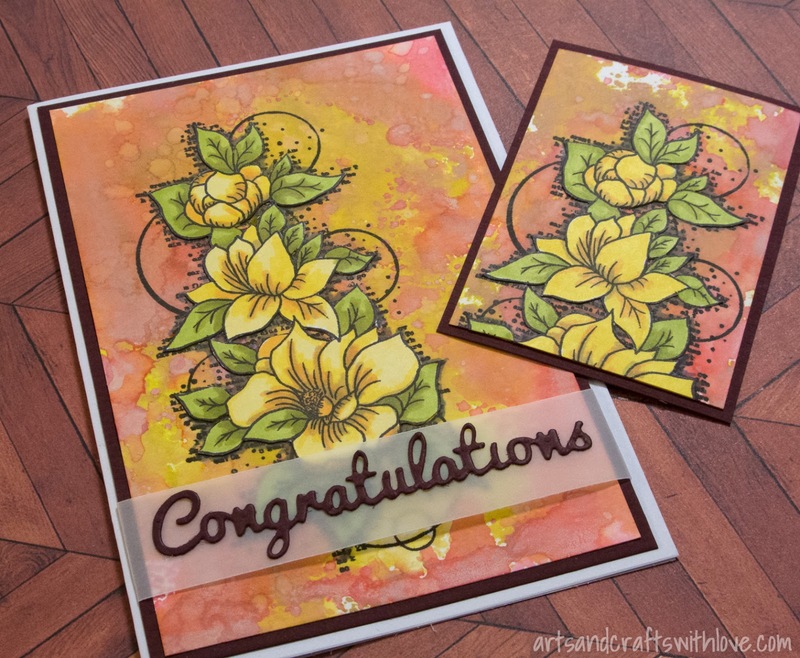 I coloured the flowers with Promarkers, cut out, and glued on the inked and stamped background. Before die-cutting the sentiment word I attached two-sided tape on the back of the paper, and therefore did not have to use glue when adhering the sentiment on the vellum strip. 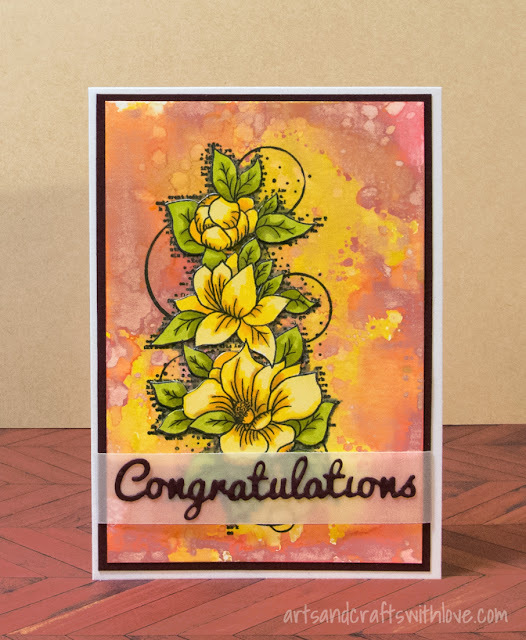 The lovely flower stamp by Carabelle Studio works well on small ATC backgrounds, too! Wishing you a nice weekend. Hope you have enough time to do what you love. Whatever it may be!